Workplace culture is a slippery concept. We can’t see it. It is difficult to name. But we sure feel it when we are working in one that is good or bad. Although culture itself might be invisible, the impacts are as concrete as the buildings we work within. Leaders talk about a ‘bad culture’ when production time is slow, profitability is down, staff turnover rates are unsustainably high, and engagement surveys depict an unhappy workforce. But these are only the symptoms. Often the best words we have to describe the culture itself is “the way things are done around here”. But how can you possibly change the culture and how do you know it is changing in the right direction or slipping further away from your target? I became aware of the slipperiness of workplace culture as I watched what happened when the software company I worked for went through three different styles of ownership over 15 years. When I started there, the company had an owner/founder family culture. That owner then sold to a UK-listed company and, then, it was bought out by venture capital. When it came to workplace culture, each owner had certain things they wanted to retain and others they wanted to change. I noticed the stuff they wanted to keep actually changed very quickly. What they wanted to jettison turned out to be the hardest to change. You could have a massive turnover of people and elements of the original culture would still exist. If your goal is to shift your organisation’s culture, the challenge is to make the invisible visible, and to create a shared understanding of that vision. And that is the tricky part…culture is felt, rather than seen, and it is felt differently depending on who is doing the feeling and where they are in an organisation. It reminds me of that old parable about the blind men and the elephant. Each one stands around describing his experience. 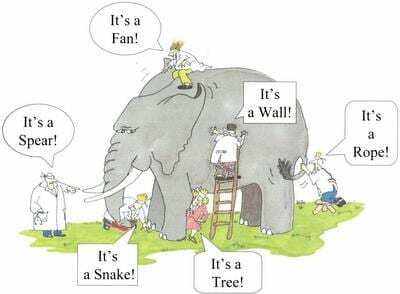 Even though the elephant is the same, the feeling is different depending on where you are standing. And the answers are fascinating! Participants often give answers that their workplace culture is like a factory, or like an unfinished painting, or like wading through marshmallow. This technique can lift people out of their “logical brains” to see what is happening at an emotional level. Harvard Business School Professor of Leadership, John Kotter, says any change management effort without a sense of urgency is doomed to fail. “When a person has a true sense of urgency, sparked by a significant opportunity, they are moved by that thought and feeling literally every day,” writes Kotter in the Harvard Business Review. 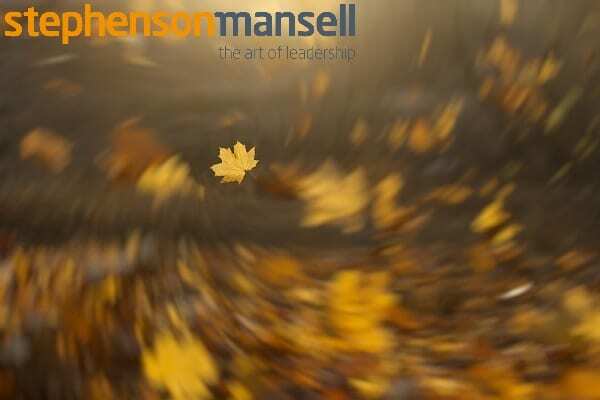 To create that sense of urgency, Stephenson Mansell Group (SMG) offers a six-hour experience, called The Organisational Workshop, which puts groups of people into a workplace scenario and creates a common experience. Based on the work of leading US-based theorist in human systems theory, Barry Oshry, the workshop makes visible (often for the first time) the frustrations and misunderstandings that commonly occur for workers, their managers, executives, suppliers and clients. By making those frustrations visible and creating a shared experience, you can tackle the blame, aggression, withdrawal and passive behaviours that can be so unhelpful when trying to shift a culture. This is the time when your employees are ‘ripe’ for new learning. Development modules on change, difficult conversations, decision making, self-leadership, and team effectiveness are much more impactful at this point because the picture and the urgency are established. It is well-known that most change management efforts fail. Change takes time and often the hardest part is in the middle, when people get fatigued and lose their sense of why they are doing it in the first place. It is the investment in the first 2 steps that often gets people through the low moments of change. Problems occur when change managers skip this step and go right to the “doing”. Leaders cannot be part of every conversation and so they need to ensure that people are “on message” in their behaviour and in conversation at all levels of the organisation. SMG has a process of building “coaching circles” which develop coaching skills in leaders and create a supportive and collaborative dialogue across organisational boundaries. This enables change through conversation. The coaching circles enable change through a structured conversational model, using real-time business challenges, combined with the shared experience and language of The Organisational Workshop and the skills built in the development modules. This is the element of continued learning that ensures that change is embedded, reinforced and that it is regenerated at all levels of an organisation. About the author: Janet Horton has more than 25 years of leadership, business development and management experience, including 10 years in senior leadership positions. Her industry experience spans across IT, financial services, government, education and SME and includes work in Australia, the US and across Asia. She also started and ran her own organisational change consultancy for five years and served as Executive Coach and Senior Facilitator to senior and high potential women for Women and Leadership Australia – an organisation dedicated to supporting a higher representation of women throughout the Australian workforce and broader community.